There are two ways to override a commission on a specific transaction. You can go into Settings > Permissions > Turn on the permission labeled 'Allow override of commission plan in a transaction?'. 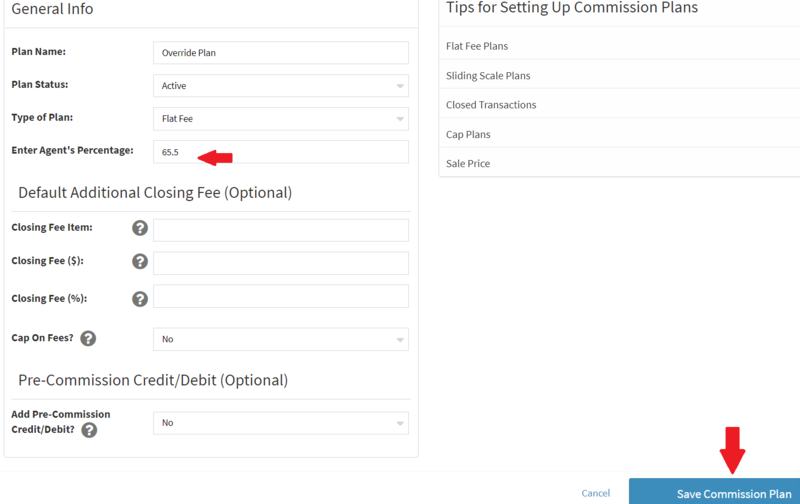 Next go into the transaction you want to override and scroll to the bottom where the agents are assigned and you'll see an Override Commission Plan option, check the box. Next enter the percentage you want to use for this agent's split. Save the transaction and when you create the disbursement the override commission amount will be used for the agent's split. Create a flat fee commission plan for the split amount you want to use for this deal. For example, if the agent's commission is $6550 on a $10,000 commission, create a flat fee plan with the agent's % as 65.5. 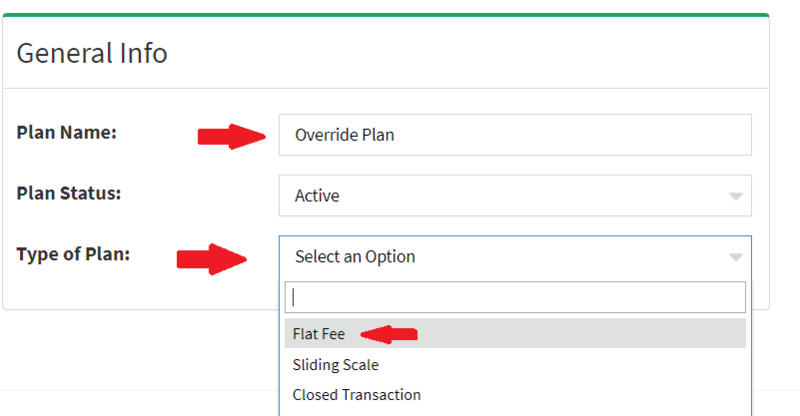 You can use this override commission anytime you need to do this by just changing the agent % for that specific transaction, saving the plan, then editing the transaction and selecting the override commission plan for that deal.